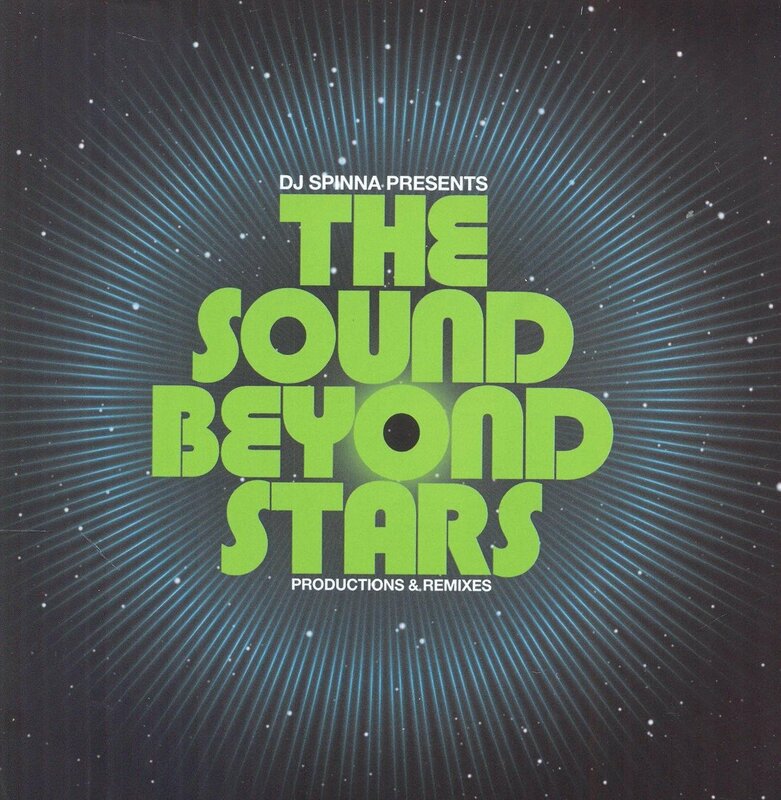 DJ SPINNA PRESENTS THE SOUND BEYOND STARS. DJ Spinna first stepped behind the wheels of steel aged eleven. By then, Vincent Williams, the future DJ Spinna, was already immersed in music. Music surrounded DJ Spinna. His first major influence was the Caribbean and Latin music in his father’s record collection. Then DJ Spinna heard the hip hop being spun at the neighbourhood block parties. He was hooked. A lifetime love affair with hip hop began. However, there’s more to DJ Spinna than hip hop. Soon, DJ Spinna heard Frankie Crocker and Shep Pettibone spinning soul and disco on late night radio. The next DJ to influence DJ Spinna, was Larry Levan, who was resident at The Paradise Garage. He was just the latest DJ to influence DJ Spinna. Since then, Brooklyn born DJ Spinna has been spinning everything from hip hop to house. In the early days of his career, it was hip hop DJ Spinna played. By the late nineties, DJ Spinna was one of hip hop’s rising stars. He was establishing a reputation as a talented producer. DJ Spinna was part of production duo, The Jigmastas. They enjoyed commercial success between 1995 and 2001. Things were going well for both DJ Spinna and The Jigmastas. Then the hip hop scene was torn apart. Hip hop was a scene divided, by the late nineties. The underground and commercial wings of hip hop split. Never would the two meet. For DJ Spinna, this presented him with a dilemma. He’d always been part of hip hop’s underground. If he stayed part of hip hop’s underground, then he risked playing to ever decreasing audiences. So, DJ Spinna decided to do what very few DJs had previously done, and made the switch to house. Seamlessly, DJ Spinna adapted from the hip hop, to the house scene. However, it wasn’t just house DJ Spinna was playing. No. He incorporated disco and soul into his sets. Soon, DJ Spinna had established a reputation for the soulful house he was playing and producing. Eighteen of DJ Spinna’s remixes feature on DJ Spinna Presents The Sound Beyond The Stars, a double album, which will be released on BBE Music on 12th January 2015. DJ Spinna Presents The Sound Beyond The Stars features some of the DJ Spinna’s best known remixes. There’s eighteen remixes in total. This includes DJ Spinna’s remixes of Shaun Escoffery’s Space Rider, and Shaun’s soulful house anthem Days Like This. Then there’s remixes of tracks by producers Kerri Chandler, Karizma and Louie Vega. Add to this remixes of tracks by artists like Raul Midon, Bah Samba, saxophonist Jimmy Sommers with Rahsaan Patterson, Fertile Ground and Tortured Soul. These are just a few of the remixes on DJ Spinna Presents The Sound Beyond The Stars, which I’ll tell you about. Opening disc one of DJ Spinna Presents The Sound Beyond The Stars is one of DJ Spinna’s best known remixes, Days like This, Shaun Escoffery’s soulful house anthem. This is one of two tracks from the English soul singer on disc one. The other is Space Rider. Both these tracks played a part in establishing DJ Spinna’s reputation as one of house music’s go-to remixers. There’s more to disc one than two tracks though. Having whetted your appetite, some of DJ Spinna’s most memorable house remixes follow. This includes Louie Vega featuring Raul Midon’s A Better Day and the sensual, soulful sound of Alison Crockett’s Crossroads. Keeping things soulful and dance-floor friendly is Stephanie Cooke’s If I Have To Change. It’s understated and mellow. Similarly soulful is Rideaway, Getaway, an Agent K production. It features the vocal prowess of Carleen Anderson, the former lead vocalist of the Young Disciples. Closing disc one is DJ Spinna’s remix of Tortured Soul Soul’s Why. Anthemic, soulful and slightly futuristic, thanks to a vocoder, it’s guaranteed to fill any dance-floor. This proves the perfect way to close disc one, in that it leaves you wanting more. Luckily, there’s still disc two of DJ Spinna Presents The Sound Beyond The Stars to come. This starts with DJ Spinna’s remix of Dear Friend. This is a Loftsoul production, featuring Lisa Millet’s tender, hopeful vocal. From there, Kerri Chandler with Harley and Muscle’s You Can’t Lie is reworked. You Can’t Lie has a slightly tougher, albeit still soulful sound. This continues on DJ Spinna Galactic Soul Remix of Faith from Groove Addix featuring Annette Taylor. Here, Annette delivers what’s best described as a vocal powerhouse. It’s up there with the best vocals on DJ Spinna Presents The Sound Beyond The Stars. So is Yvette Rovira’s vocal on I Remember. It’s best described as a joyous and irresistible sounding track. Equally joyous, is I Got Life, where guest vocalist Terrance Downs struts his way through DJ Spinna’s remix of this KemeticJust track. After this the tempo rises slightly. On Bah Samba’s Moonlight, the tempo rises to 127 beats per minute. Against a backdrop of percussion and synths, a sultry soulful emerges during this nine minute epic. That’s not the end of DJ Spinna Presents The Sound Beyond The Stars though. No. There’s still Ralf GUM and Monique Bingham’s DJ Spinna Galactic Soul Remix of Little W. 12th Street to come. Just like Bah Samba’s Moonlight, it’s in the key of Am. Its arrangements and vocal are similar to Moonlight. Indeed, like so many of the tracks on DJ Spinna Presents The Sound Beyond The Stars, the vocal is at the heart of the track and the remix’s success. For many people, DJ Spinna’s name is synonymous with hip hop. That was the case. Now, DJ Spinna is one of house’s hottest DJs. However, there’s much more to DJ Spinna than DJing. He’s also one of house music’s top producers and remixers. That’s apparent when you listen to DJ Spinna Presents The Sound Beyond The Stars, which will be released by BBE Music on 12th January 2015. DJ Spinna Presents The Sound Beyond The Stars features eighteen of DJ Spinna’s house remixes, spread across to discs. The remixes are deep and soulful. Key to the soulfulness, are the vocals. They’re at the heart of the track’s sound and success. No wonder. Look at the vocalists on DJ Spinna Presents The Sound Beyond The Stars. With names like Alison Crockett, Carleen Anderson, Stephanie Cooke, Yvette Rovira, Annette Taylor and Monique Bingham, it’s no surprise that the music is uber soulful. However, it’s not just divas on DJ Spinna Presents The Sound Beyond The Stars. Vocalists including Shaun Escoffery, Raul Midon and Terrance Downs all play starring roles. So do producers like Louie Vega and Kerri Chandler. Mostly, though, the soul sisters steal the show on DJ Spinna Presents The Sound Beyond The Stars, which features eighteen remixes by DJ Spinna. DJ Spinna Presents The Sound Beyond The Stars allows the listener to acquaint themselves with another side to DJ Spinna. That’s his house remixes and productions. They’re not as well known as his hip hop productions. That might be about to change on 12th January 2015. That’s when BBE Music the release of DJ Spinna Presents The Sound Beyond The Stars. Maybe, after the release of DJ Spinna Presents The Sound Beyond The Stars, DJ Spinna’s name will be synonymous with house, rather than hip hop? ← THE BEST SCOTTISH ALBUMS OF 2014.